Season Match takes you for a wonderful trip to the magic kingdom, where you will meet three beautiful princesses, symbolizing seasons. Feeling like a real legendary hero, you will use their wisdom to solve various tasks and beat the Snow Queen. 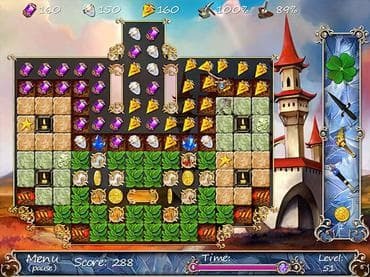 Free Game features: - Use magic tools; - Solve an array of puzzles; - Multiple match 3 modes; - Colorful graphics in fantasy settings; - Defeat the Queen's snowy winter. If you have questions about Season Match game, please contact us using this form.